This large brush strip garage door seal will work wonder for your garage, transforming it from cold and dirty to clean and warm! 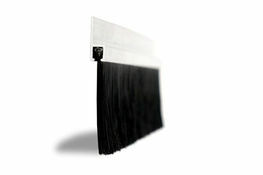 The brush strip seal works to keep out things like leaves, draughts, and pests. The robust brush strip is an excellent way to protect your garage, and when it comes to garage door seals, look no further. 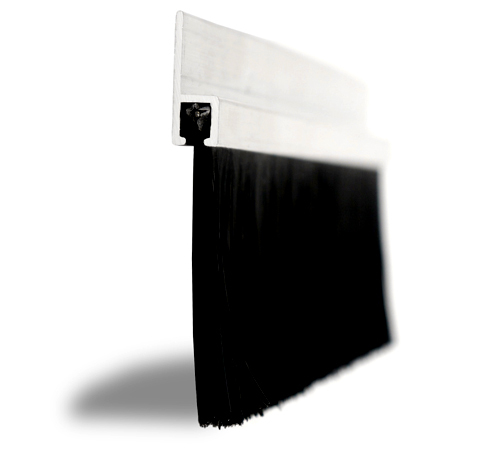 50mm black nylon trim x 2.44m overall length, supplied with 180° aluminium carrier as shown. This product is also available with 90° & 45° carriers if required, for alternative carrier angles, please select from the options menu.